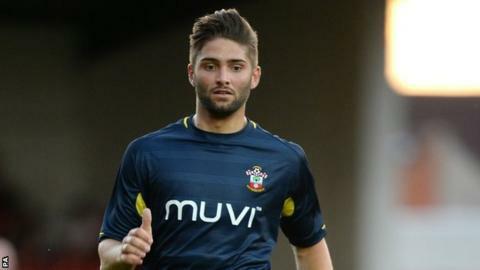 Southampton defender Jordan Turnbull has signed a new three-and-a-half-year deal that will keep him at the Premier League club until the summer of 2018. The 20-year-old is on a season-long loan at League One side Swindon, for whom he has appeared 34 times. Turnbull has been at Southampton since 2007 and signed his first professional contract in 2013. "I'm delighted to sign a new contract here. It's a fantastic club," he told the club website. "I've been here for seven or eight years and I think it's a great opportunity for me to push on now. "I'm out on loan at the moment and to know they're keeping an eye on me and keep watching me is fantastic. I'm looking to come back here in pre-season and show the coach what I can do."